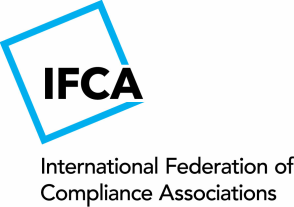 The International Federation of Compliance Associations supports and provides for a minimum level of training and education for compliance professionals to competently undertake their roles. We believe in the integral value of compliance frameworks to the operation of organisations and the execution of their strategic outcomes. Our member organisations and their members are committed to the profession of compliance and excellence in the work they do for their organisations. As an international organisation we share our experience and insights and work to maintain rigour in the profession to continually improve the work of the profession. and staff qualified to run them is no longer an exclusive priority of major corporations. key factor of good corporate governance. development of business activities in the 21st century. In this White Paper, Ethics and Compliance Switzerland (ECS) analyses the current legislative project on whistleblower protection in the Swiss private sector. The focus of the White Paper is on the legislative proposal’s divergences from international standards and best practice principles as established by the Council of Europe, the International Chamber of Commerce, the International Standardization Organization ISO, the OECD, Transparency International and the United Nations. Anonymous reports by employees shall be admitted and protected. Employees reporting in good faith shall be explicitly protected from all forms of retaliation; all and any unlawful retaliation shall be null and void (including termination of the whistleblowers’ employment contract).The burden of proof shall be on the employer. Employees reporting in good faith shall be immune from disciplinary proceedings and liability under criminal, civil and administrative laws (e.g. libel, slander, copyright, data protection). Reporting to the public as a last resort shall be admissible if the rectification of a misconduct lies in the interest of the public and if the reported misconduct appears to be severe. The admissibility to report to the public shall not depend on a formality but on the severity of the suspected or actual misconduct. Reports to the public authorities shall be admissible in the case of an immediate threat to life, health, safety or the environment even if the whistleblower has made a report to the employer first. Reports to the public authorities shall be admitted even if the employer has an internal reporting mechanism but only if such reporting mechanism is not designed or operated properly. Internal reporting mechanisms shall ensure timely acknowledgment and feedback to the whistle-blower. Incoming reports shall be appropriately recorded, assessed and thoroughly investigated. Those who retaliate against whistleblowers shall be subject to adequate disciplinary measures and/or penalties. Also available: Guideline: Key Success Factors for Implementing an Internal Speak-Up Procedure: download here.